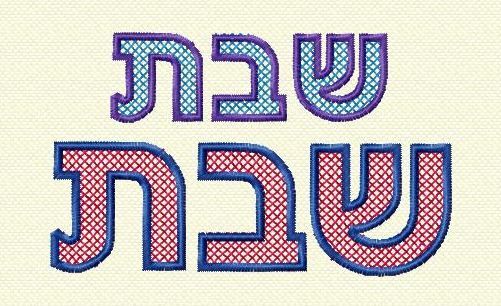 Cross Stitch Aleph Bet with satin border! 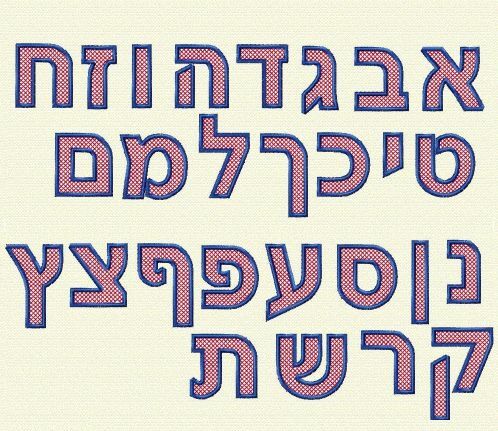 This font has two sizes - 1 inch and 1 1/2 inch. It is very important to have editing software, such as Embird or Buzz Edit or similar program that will allow you to sort color for these letters. The cross stitch is one color and the satin border is another (you can chose your own, of course) but without combining the colors, you will have two color changes for each letter!